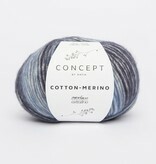 If you like hand dyed tonal yarns, you will love how Katia Concept Cotton-Merino yarn works up into a finished fabric. This worsted weight chainette yarn is made up of a cotton netting with soft fluffs of extrafine Merino wool blown into the center. 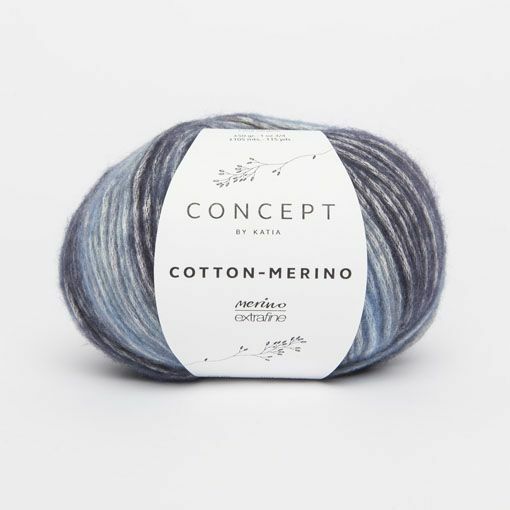 Garments worked up in Cotton-Merino will have a tonal look to them so go for simple styles to showcase the beautiful coloring this yarn has to offer. Also consider this yarn for cowls, hats, and scarves because of its softness and warmth.